Call Us Now at (702) 388-8300 To Quash Your Warrant Today! If you have failed to appear for court, the judge likely issued a bench warrant. 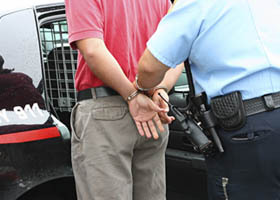 Contact our office today to quash the warrant so you don’t end up in jail. Q: If I failed to appear for a traffic citation, would the judge issue a bench warrant? A: Yes – Bench warrants for missing your court date for a traffic ticket are the most common of bench warrants. Q: Is there a fine associated with a Bench Warrant? A: Yes. However, our office can often reduce or eliminate that fine. Call Us To Fix Your Warrant Now!